A Year of Being Here: Dobby Gibson: "Upon Discovering My Entire Solutionto the Attainment of ImmortalityErased From the BlackboardExcept the Word `Save'"
as if it doesn’t mean it. "Upon Discovering My Entire Solution to the Attainment of Immortality Erased from the Blackboard Except the Word `Save'" by Dobby Gibson. Text as published in Polar (Alice James Books, 2005), available for purchase here. Art credit: Untitled photograph by Emmanuel Coupe-Kalomiris. 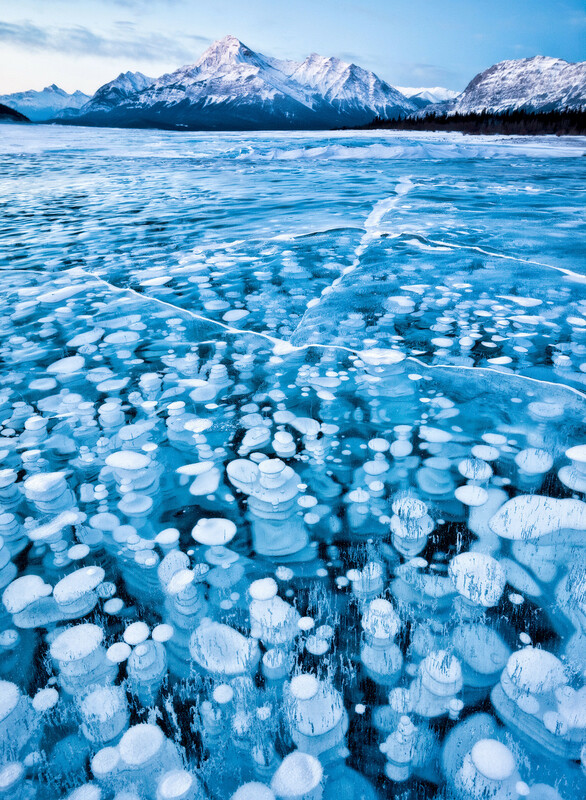 Caption: "This image was taken in wintertime in an arid area of the Canadian Rockies. Temperatures were below 30 degrees Celsius, yet because there was no snow fall the surface of the lake was uncovered allowing me to see and capture the bubbles (gas release from lake bed) that were trapped in the frozen waters." Curator's note: Please take two minutes for this survey to help me decide whether or not to create an anthology of mindfulness poetry. The survey will be up until January 1, 2016, when A Year of Being Here concludes after a wonderful three-year run.